Gunnison Valley Family Physicians’ are dedicated doctors, physician assistants, and nurse practitioners that give the very best in personalized medical care. Meet our team of experienced professionals. Dr. McMurren is board certified by the American Board of Family Medicine and a member of the American Academy of Family Physicians. Dr. McMurren practices full spectrum Family Medicine from Newborn Care to Geriatrics. He visits the Gunnison Health Care Center weekly and has served as Chief of Staff for Gunnison Valley Hospital. He is certified in Advanced Cardiac Life Support (A.C.L.S. ), Advanced Trauma Life Support (A.T.L.S.) and Pediatric Advanced Life Support (P.A.L.S.). 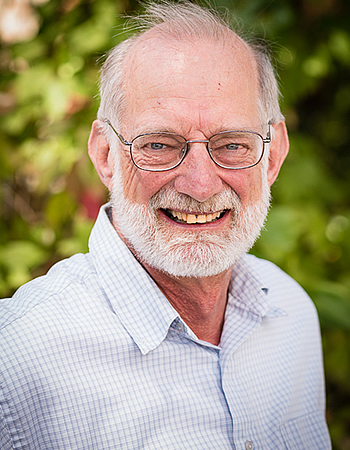 He graduated from the University Of Colorado School Of Medicine in 1981, completed a three-year family practice residency in Greeley, CO and began practicing at Gunnison Valley Family Physicians in 1984. Dr. McMurren currently serves as the President of the Emergency Department LLC, chairperson for the Emergency Department committee and is an active member at Gunnison Valley Hospital. In his spare time, Dr. McMurren enjoys exploring God’s creation by foot, bike, and Jeep. He also loves golf, skiing and spending time with his family which includes his 2 grand kids. 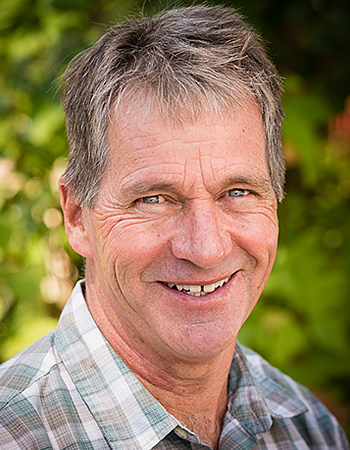 Dr. Garren began practice with Gunnison Valley Family Physicians in 1989 after graduating from the University Of Colorado School Of Medicine in 1986 and completing a three-year family practice residency. Dr. Garren practices full spectrum Family Medicine from Newborn Care to Geriatrics. She is board certified by the American Board of Family Medicine and a member of the American Academy of Family Physicians. She is certified in Advanced Cardiac Life Support (A.C.L.S), Advanced Trauma Life Support (A.T.L.S.) and Pediatric Advanced Life Support (P.A.L.S.). 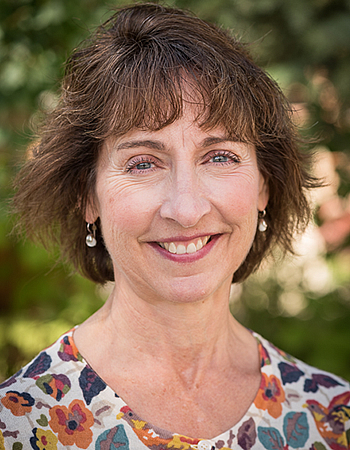 Dr. Garren recently served as Chief of Staff and is an active staff member at Gunnison Valley Hospital. Dr. Garren enjoys quilting, sewing, reading, hiking, biking, skiing, and gardening. She is married to Jeff and they have two grown daughters. Dr. Villanueva joined GVFP in October 2015 after completing her OB fellowship at Ventura County Medical Center. She loves to practice full spectrum Family Medicine including Obstetrics. Her favorite aspects of her job are caring for women and children. She has been working with the Multicultural Center and volunteers her time to review health fair labs and promote wellness with Gunnison’s Spanish and Cora population. She also works as an emergency room doctor, making rounds as a hospitalist and in the newborn/pediatric ward. When Laura is not busy with work, she and her husband, Michael and son Koa enjoy spending their time outdoors doing all the things the summer and winter seasons in the area have to offer. Laura was born and raised in Crested Butte where she also met her husband. In 2006 she graduated from The Colorado College, where she graduated with honors and played varsity volleyball. In 2011 she graduated from University of Colorado Health Science Center with her M.D. Doctor Thorson is originally from Fort Collins, Colorado. As a Colorado native, he was fortunate to have opportunities to explore the mountains of Colorado at an early age and quickly fell in love with all that they offer. He received his undergraduate degree in Molecular, Cellular, and Developmental Biology from the University of Colorado in Boulder. He received his medical education at the University of Colorado Health Sciences Center and did his residency training at St. Mary’s Hospital in Grand Junction. 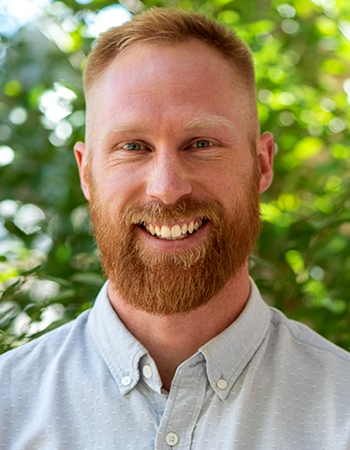 He has lived in the Gunnison Valley since 2010 and owned and ran the Town Clinic of Crested Butte where he provided consistent care for patients in Crested Butte as an independent solo family physician. This also afforded him the opportunity to learn the complexities of the business side of medicine. He is Board-Certified in Family Medicine as well as holding certifications in ACLS, BLS, PALS. In his free time, he enjoys skiing, mountain biking, hiking, golfing and spending time with his family. 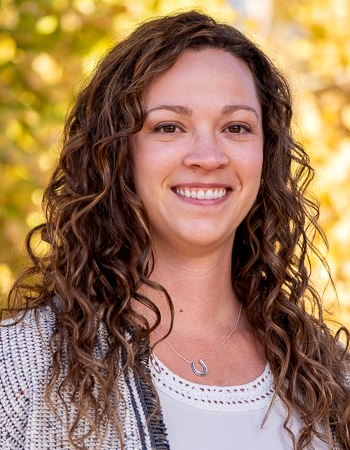 Dr. Tucker joined GVFP in September 2018 after completing her OB Fellowship and Family Medicine Residency at Saint Joseph Hospital in Denver, CO. She is a Colorado native who was born and raised in Fort Collins, CO. Megan received her undergraduate degree in Integrative Physiology at the University of Colorado at Boulder in 2009. She then moved on to Rocky Vista University College of Osteopathic Medicine in Parker, CO, and graduated with her medical degree in 2014 with honors. Dr. Tucker is passionate about practicing full spectrum family medicine, and is very excited about providing care to the Gunnison community. She looks forward to working in the clinic, ER, hospital, and providing prenatal and obstetric care. When she is not practicing medicine, Megan enjoys gardening, cooking, skiing, hiking, yoga, and spending time with her husband, Brian, and their two chocolate labs, Avery and Wilson. They are looking forward to enjoying all of the outdoor activities that the area has to offer. Dr. Marquette joined GVFP in October of 2018. He has recently finished Family Medicine residency at Ventura County Medical Center in California, being honored by the Society of Teachers of Family Medicine with the 2018 Resident Teacher Award. He is board certified in Family Medicine. His practice consists of Family Medicine clinic along with hospital responsibilities in the Emergency Department and inpatient Newborn/Pediatric/Adult Medicine at Gunnison Valley Health Hospital. Born and raised in the Redwoods along the North Coast of California in a rural town of 300, he built a love and respect for the people that call the still wild places of the West home. His parents impressed upon him a philosophy of empowerment through education and exploration. He received his bachelors of science at the University of California, Santa Cruz and his medical degree from Lake Erie College of Osteopathic Medicine in Pennsylvania. being recently married to co-GVFP provider Dr. Harding-Marquette, they could not be more excited that their explorations have brought them to call the Gunnison Valley their new home. Dr. Grace Harding-Marquette joined GVFP in October, 2018. Growing up in a small town outside of Lake Tahoe instilled in her a love of the outdoors and she has always felt most at home skiing and hiking in the mountains. Although inherent to the process of medical education and residency is distancing one’s self from the wild, mountainous places that she loves, a focus on providing rural areas with quality family physicians that understand and appreciate the kind of people that call the mountains there home, has brought her here to the Rockies. After completing college, with a Bachelor of science, in Health Sciences at the University of California, Santa Cruz, she moved to Pennsylvania to obtain her Doctor of Osteopathic Medicine. Osteopathic Medicine, allows the same medical practice as a doctor of Allopathic Medicine (M.D. ), traditionally, Osteopathic Medicine was built on the philosophy, that people need to be treated as a whole, taking into account mind, body, and spirit. Additionally, Doctors of Osteopathic Medicine are trained to use Osteopathic Manipulative Therapy, a hands-on technique to help realign the body, based on musculoskeletal and somatic dysfunctions. 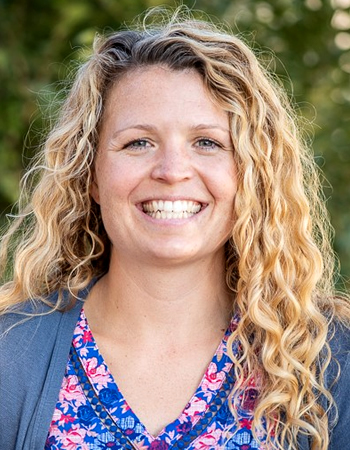 After completing Residency in Family Medicine, at Ventura County Medical Center, she has moved to the Gunnison Valley with her Husband, Dr. Jacob Marquette, also working at GVFP. 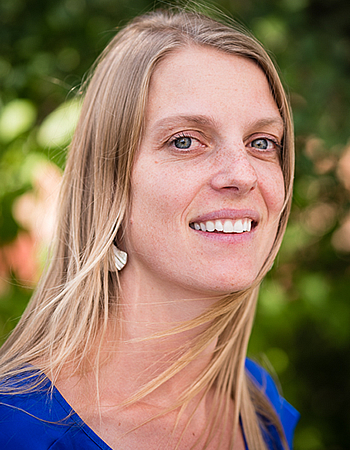 As part of GVFP, she will practice Family Medicine in both GVFP and Crested Butte clinics. In addition to the aforementioned responsibilities, she will also be working in the Emergency Department, Rounding on Newborns/Pediatrics/Adults in the Hospital. Interests include Pediatrics, sports medicine, and addiction medicine. Dr. Harding looks forward to building their new home here in Colorado and becoming a part of the growing GVFP practice and communities of Gunnison and Crested Butte. John Holder works closely with the physicians in all aspects of patient care. He graduated from the University of Texas-Southwestern Medical School in 1996 and is a certified Physician Assistant. 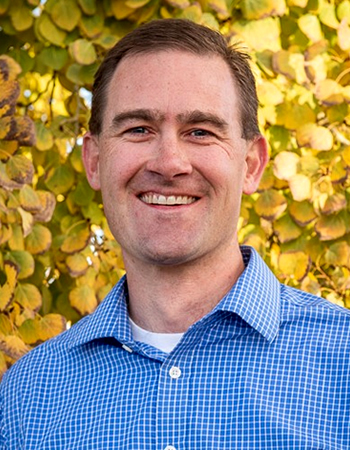 John works for Gunnison Valley Family Physicians and the ski area clinic. He is involved in Family Practice as well as Urgent Care. He is certified in Advanced Cardiac Life Support (A.C.L.S), Advanced Trauma Life Support (A.T.L.S.) and Pediatric Advanced Life Support (P.A.L.S.). John has worked for Crested Butte Professional Ski Patrol and Crested Butte Fire Protection District as an EMT. Before becoming a Physicians Assistant, John was a Master Plumber and co-owned Timberline Mechanical in the 8O’s and early 9O’s. John enjoy’s traveling, skiing, hiking, and mountain and road biking, fly fishing, scuba diving, and sailing. John is married to Mary and they have 3 grown children and 3 grandchildren. Nicol Talbert works closely with the physicians in all aspects of patient care. Nicol graduated from the University of Colorado Health Sciences Center in 2005 with a Child Health Associate/Physician Assistant certificate and Master of Science. Before becoming a Physician Assistant Nicol worked as a Physical Therapy Assistant, EMT, and Emergency Department Tech. Before moving to Gunnison in 2006, Nicol worked as a Physician Assistant at the Fond du Lac Reservation in Minnesota. 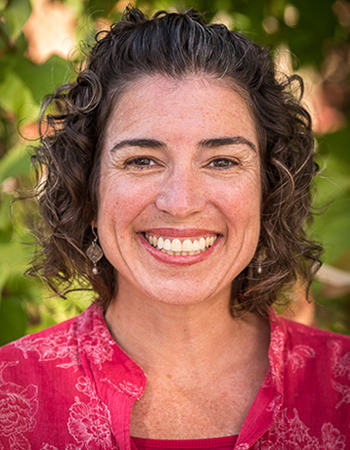 Nicol works for both Gunnison Valley Family Physicians and Gunnison County Public Health Department where she is involved in full spectrum Family Practice and Women’s Health. She is certified in Advanced Cardiac Life Support (A.C.L.S.) and Pediatric Advanced Life Support (P.A.L.S.). Nicol has volunteered many hours to different projects such as the Humane Society, the Stout Street Homeless Clinic in Denver, Colorado and numerous other events and functions around Gunnison. Nicol is a certified class I-IV whitewater guide and has guided in Colorado and abroad. She enjoys traveling, mountain biking, snowboarding, whitewater rafting, art, and gardening. Nicol is married to John and they have two sons. Bonnie Strickland graduated in 2015 from the University of Colorado with a Master of Science (MS) in the Family Nurse Practitioner program and holds national certification as a Family Nurse Practitioner through the American Nursing Credentialing Center (ANCC). Prior to earning her Masters, she graduated from Mesa State College with a Bachelor of Science in Nursing (BSN) in 2000. 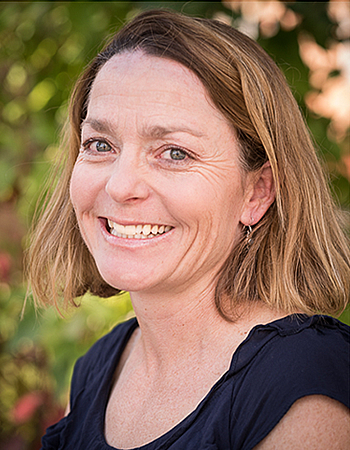 Before joining Gunnison Valley Family Physicians in August of 2015, she worked at Gunnison Valley Hospital as the Nursing Supervisor of the Family Birth Center and as a staff nurse in the emergency department and medical surgical department for 15 years. She also has worked in the Emergency department at Montrose Memorial Hospital. She is certified in advanced cardiac life support (ACLS), Pediatric Advanced Life Support (PALS), Neonatal Resuscitation (NRP), STABLE, and Advanced Life Support in Obstetrics (ALSO). She has previously been a certified breastfeeding educator and taught childbirth education classes for 7 years. Bonnie is married to Rob Strickland; they have two girls, Molly and Emma. She has been a Sunday school teacher at Community Church since 2006 and volunteers on the Gunnison Stingrays Board. Hobbies include running whenever possible, backpacking with family and friends, mountain biking, and drinking tea. In 2005 Bonnie was a Nightingale award nominee and in 2009 was honored with the John S. Tarr Nursing Excellence Award.